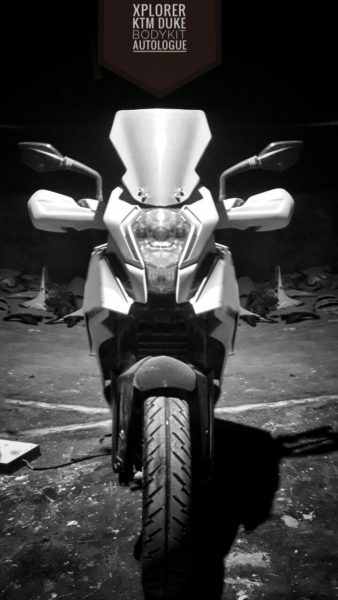 The KTM Duke range offers some serious thrills for the price at which it is offered. However, for being street-spec bikes, they are more suited for shorter rides than long distance touring. But what if you’re adamant. You may do it, but doing it while being comfortable is another thing altogether. This is where Autologue Design comes in. They have created a host of aftermarket parts which will transform the Duke family members into mile munching tourers. Autologue Design will be selling individual parts to suit the needs of a client but will also sell these parts as a kit called the ‘Xplorer’ kit. The new-generation Duke motorcycles, the Duke 250 and Duke 390 will get the Xplorer kit at a later date. 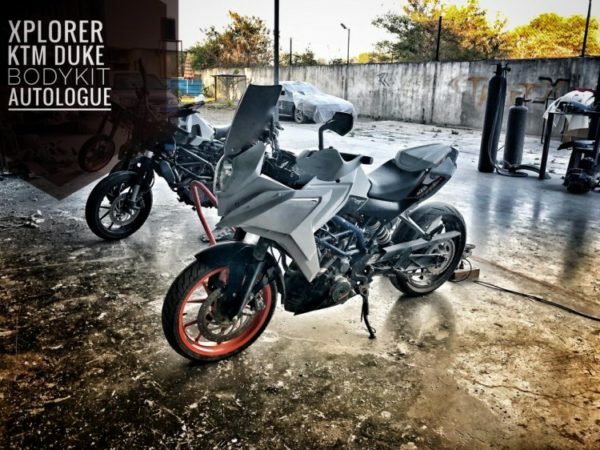 The older generation bikes – the Duke 200 and the first-gen 390, will get their kits from January 25, 2019. Those who own the new generation bikes will have to wait for a month more. The whole kit comprises various parts which include knuckle guards, bash plate, handlebar Risers, spoked wheels, chassis mounts, suspension options, brake options and light upgrades. Apart from these additional parts, customers will also get a customised fairing to go along. The whole kit would cost customers approximately INR 20,500. As mentioned above, customers can buy individual parts from Autologue Design as well. The parts are quite nominally priced, for example, a bash plate will set you back by INR 4,000. The company will start taking pre-orders from the 29th of December. In an attempt to give back to the society, the first kit will be auctioned and proceedings of the same will go to Yuvraj Singh’s cancer foundation Youwecan. This first kit will be a customised version, commissioned for the NGO. Below are some images of the Austrian bikes fitted with these aftermarket kits.